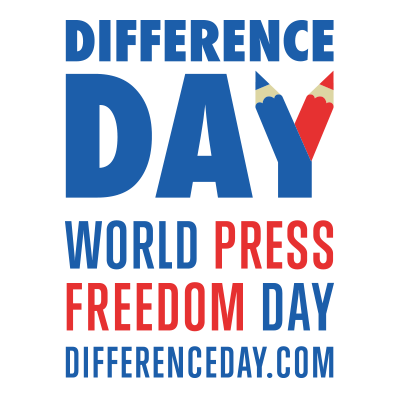 Difference Day 2018 Honorary Title for Freedom of Expression goes to Daphne Caruana Galizia and her family. 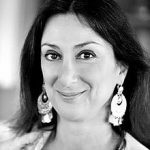 We are honoured to share the speech given by Andrew Caruana Galizia at the Difference Day 2018 Gala Award Ceremony with you. My family and I are deeply humbled by the honour the Brussels University Alliance has extended to my family and, above all, to my mother, Daphne. As you’ve probably learnt by now, my mother wasn’t like most people. Where many of us would first seek security, shelter and material well being, my mother sought meaning in life before anything else. People would often ask her why she bothered doing what she did – whether it was worth the sacrifice, the hate, the ostracism, the impact on her health and her family. Her reply was always: what else would I do, mark out the days playing cards at the beach? Because in the Malta my mother grew up in, that’s what women were expected to do for self-fulfilment. But she took the mould her country gave her and shattered it into a million pieces. She inspired a whole generation of women – and also men – to demand more of themselves, to demand more of their society and to demand more of the people who make the rules in our country. My mother always knew she was never free to write. But she wanted to live in a country where freedom of the press and freedom of expression are unassailable rights. She believed the best way to get there was to test the boundaries of her freedom, rather than be constrained by them, despite the clear danger. When she exposed the connections between a drug trafficker and the chief of the country’s armed forces, our front door was set on fire and our pet dog had its throat slit. My brothers and I were just children. She told us she had a left acandle on outside. And that our dog had eaten snail poison. When she spoke up in defence of the rights of asylum seekers – who were, as they are now, completely voiceless – neo-Nazis set fire to our family home. Over ten years later, petrol used in the fire still oozes out from a tree in our garden. No one was ever brought to justice for that. Few even demanded it. When my mother campaigned in the press in favour of Malta’s EU membership, the machinery of an entire political party was turned against her, transforming one young woman into a figure of hate for hundreds of thousands of people who had never once read her work. So great was her perceived influence on voters, that she was turned into a scapegoat for failed policies and a hundred failed political careers. Since 2013, when she began exposing the corrupt, the cretinous and the complicit who make up Malta’s new ruling class, she found herself taking on an entire government. She was subjected to an abusive tax investigation, her bank account was frozen, and she was hit with dozens of lawsuits – 47 by the time she was killed, 34 of which we continue to fight as her heirs. Foreseeing the manner of her own death, my mother once wrote that the only thing that would make her stop writing was for someone to take out a contract on her life. By the time she was killed, she was completely isolated: senior government officials explicitly stated that they sought to deter her from writing. The leader of the opposition was fighting five libel cases against her over his links to organised crime. Political parties led campaigns against her — always with the same aim: to stop her from writing — to stop her from informing the public and shaping its opinion. She meant that literally. There was no one left to turn to. Our country’s institutions had been co-opted and subverted to serve private interests over those of the public. She knew there were no police, no prosecutors and no colleagues from the press standing between her and the dangerous people she exposed and ridiculed. And yet she continued to write, to report, to mock, to entertain and to educate. She had for almost thirty years withstood everything and anything that anyone could throw at her. While her readers saw everything they loved and recognised about Malta fall away before their eyes, my mother grew into not only an icon of freedom of expression but the country’s public conscience. She knew her readers depended on her for their sanity and she knew she couldn’t abandon them, no matter how unbearable the pressure she faced. Instead her writing grew more strident, defiant and devastatingly powerful. The freedom she won for herself became a threat to Malta’s ruling class and its associates — almost like an act of insubordination: daring them to do their worst. When she was finally killed, it was like an act of desperation on the part of her enemies. A bomb. The nuclear option; when the threats, the lawsuits and the slander had failed to deter her. As her son, I’d like to say that I was never prouder of my mother than the day she was killed and I was never more humbled by the example she gave me, my brothers and the world than the day she forced her enemies to kill her, rather than abandon her work. Few doubt now how dangerous her enemies were. And yet what was my mother’s biggest fear in the days before she was killed? She told an interviewer ten days before her assassination that what worried her the most was that her example might discourage others — women in particular — from becoming journalists. She was worried that her victimisation had transformed her into a negative role model; an example of how wretched your life would become if you followed in her footsteps. And one of the most tragic aspects of my mother’s assassination is that we cannot tell her how wrong she was: that she died not knowing what a positive example she had become. She died not knowing how many people have been inspired by her courage. And she died before we could repay the debt that so many of us owe her. By honouring my mother and my family tonight, you are declaring to the world that all of us should look to my mother’s example and say that a life lived for others is worth a thousand selfish lives; a life lived with purpose is worth a thousand lived in indifference; and a life sacrificed in the search for truth is the greatest gift any of us can give back to the world. So now let’s accept this gift my mother gave us and repay her with justice. 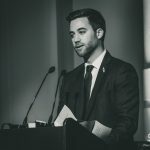 The Global Investigative Journalism Network (GIJN) is an international association of nonprofit organizations that support, promote, and produce investigative journalism. GIJN holds conferences, conducts trainings, provides resources and consulting, and encourages the creation of similar nonprofit groups. It was founded in 2003 when more than 300 journalists from around the world gathered for the second Global Investigative Journalism Conference in Copenhagen. Since then it has grown to 145 member organizations in 62 countries. Margo Smit is independent, self-employed investigative TV-documentary filmmaker and (part time) ombudsman at NOS, Dutch public broadcaster. Until summer 2015, she was director of the Dutch-Flemish Association of Investigative Journalists VVOJ. Smit is a member of the International Consortium of Investigative Journalists ICIJ and covered their #LuxLeaks investigation on tax evasion through Luxemburg for Dutch public TV. 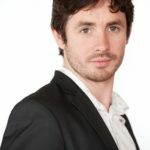 Smit is vice-chair of the Global Investigative Journalism Network. Margo Smit teaches (investigative) journalism on TV, with a specialisation on visualisation of (investigative) reporting, at University Groningen and various journalism schools in the Netherlands and Flanders. Smit studied journalism in the United States. 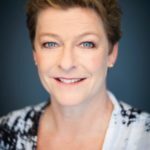 In 1989 she began working as a news and features reporter for a Dutch commercial TV station and later as their political correspondent. In 1997, she transferred to KRO Reporter, an investigative television documentary series on Dutch public TV, where she worked till 2009. Smit investigated, for example, the Dutch monarchy, nuclear safety and proliferation, accounting transparency at multinationals, Islam, honorary killings and the banking industry. She was co-producer of aKRO Profiel documentary on controversial politician Ayaan Hirsi Ali nominated for the Prix Europa in 2005. She was a juror for the Daniel Pearl Award and the Global Shining Light Award for investigative journalism, and the M.J. Brusseprijs for non-fiction in the Dutch language. 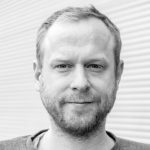 The Evens Foundation is awarding the Prize for European Journalism to two journalists: Tom Nuttall of The Economist and Christoph Zotter of Profil Magazine. Nuttal writes on European politics and economics in The Economist’s ‘Charlemagne Column’. He is a much sought-after commentator on television and radio. Christoph Zotter works on the foreign affairs desk of the Austrian news magazine Profil. He wants to get readers following complex European issues more closely. 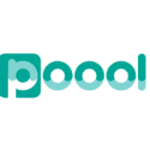 Poool.fr is the first to receive this award. This smart paywall is a handy tool in helping news sites provide a better service. Surfing behaviour is analysed to enable a news site to offer articles likely to interest the individual reader. In this way, the sites reach out to the public. The jury likes the way this innovative start up links journalism and access to information. The paywall also gives the news sites the possibility to pursue their work in a sustainable manner and at the same time keep the door open to new users. 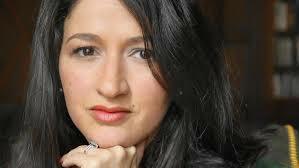 Zineb El Rhazoui (1982) is from a family of mixed background: her father is Moroccan, her mother French. Since her early adolescence she has questioned the subordinate role of women in Islam. She started her career as a journalist in Morocco, where she set up several pro-democratic, secular organisations. She was arrested on several occasions and ultimately deposed from the country. She left for Paris where she became the spokeswoman for the feminist organisation Ni Putes, ni Soumises. In 2011, following the Arab Spring, she was recruited by the magazine Charlie Hebdo. She collaborated on projects including the articles on the prophet Mohammed, for which she has received death threats from ISIS. Zineb escaped the attack on the editors of Charlie Hebdo on 7 January 2015. Since that time her life has been dominated by measures to secure her safety and security. Djemila Benhabib was born in Ukraine in 1972 and grew up in Algeria. Having a Greek Cypriot mother she became aware at a young age of the inequality of women in that society. In 1994, following an Islamic death sentence, her family sought refuge in France. Three years later Djemila travelled to Quebec alone, where she launched her career with Ma vie à contre-Coran, an essay which won her the Ecrivains francophones d’Amérique prize in 2009. Following Les soldats d’Allah à l’assaut de l’Occident, which was published in 2012, Charb (at that time director of Charlie Hebdo), awarded Djemila the Prix international de la laïcité. 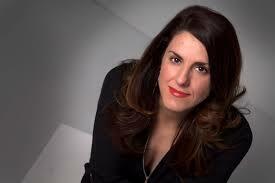 In 2013 she received the Prix humaniste du Quebec for L’automne des femmes arabes. Après Charlie was published in January 2016. In it she writes that the fall of the great twentieth century ideologies has allowed religion to return to our society. This poses a threat to freedom of thought and freedom of expression, as well as the rights of women, education, etc. Her commitment to the cause has frequently left her a victim of physical threats, intimidation and legal action by Islamic groups and their supporters, mostly in Canada. The PCE (Press Cartoon Europe) is an initiative of the PCB (Press Cartoon Belgium) in association with the International Cartoon Festival held in Knokke-Heist, Belgium. This annual prize awards the best cartoon published in any European country. The competition is open free-of-charge to all cartoonists who publish in European newspapers, magazines or electronic media. Kap (Jaume Capdevila) est un dessinateur de presse catalan né à Berga, (Barcelonne) le 25 juin 1974. Connu pour ses dessins publiés dans La Vanguardia et El Mundo Deportivo depuis 1997. Ses dessins apparaissent également dans divers autres magazines espagnols et internationaux tels que Siné Mensuel ou le Courrier International. 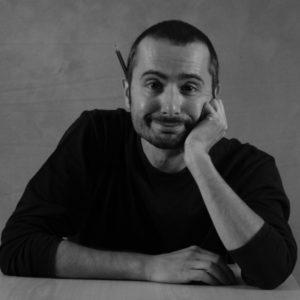 Il a publié de nembreux albums, compilant ses dessins de presse, et a reçu plusieurs prix, parmi lesquels il faut souligner le Prix International d’Humour Gat Perich (2009) et le Prix Notario del Humor (2015), deux des grands prix de le dessin satírique en Espagne. Kap est également spécialiste de la presse satirique espagnole des XIX et XXème siècles, auteur et co-auteur de divers travaux sur l’histoire du dessin de presse et de la caricature espagnols, et sur divers sujets liés à l’humour et à la satire. Marc Peeperkorn works as an EU correspondent (since 2008) for de Volkskrant, the biggest quality newspaper in the Netherlands.